XX2i Optics Review and Discount! Before Thanksgiving I was accepted as a BibRave Pro for 2016. For those new to BibRave, it’s an awesome site that’s kinda like Yelp for races. I highly recommend checking out the site before you register for your next race, or help out your fellow runners by adding some new reviews. 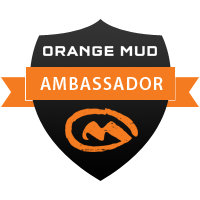 It’s a growing community of awesome athletes! As a BibRave pro I have the honor of representing BibRave at some races, on social media, and try out awesome products and races. Don’t worry, if I ever receive a product or race registration as part of my Pro status I’ll be sure to let you know (see above)! 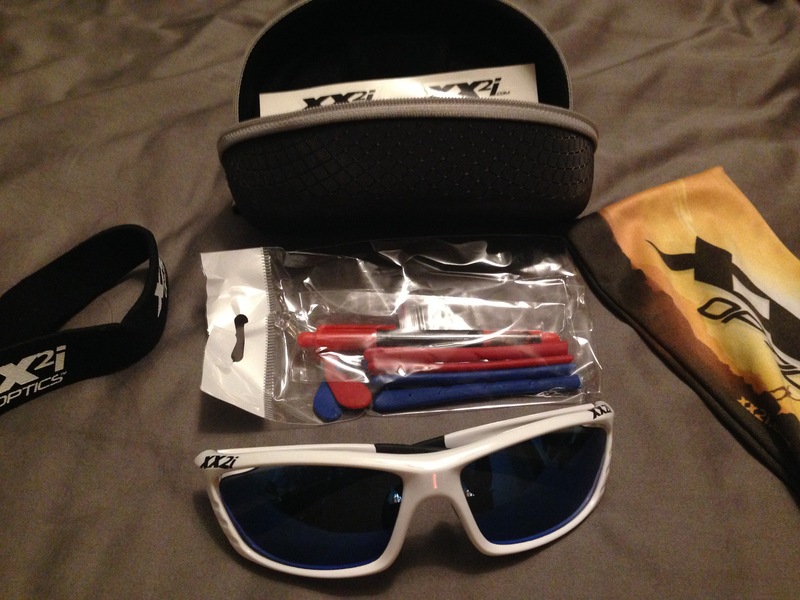 The very first product I received as part of being a BibRave Pro are the XX2i Optics USA 1 Sunglasses. I definitely felt like a kid getting an early Xmas present (in this case, actually, Hanukkah, but Hanukkah Harry usually brings socks). This was extra exciting because I recently lost both pairs of sport glasses during travels. Snazzy! Additional nose and ear pieces, hard case with room for a handful of additional lenses, soft case that’s also a cleaning cloth. The kit I received has 1 frame and 1 lens (polarized blue flash) but you can buy multi-frame, multi-lense kits, or buy additional lenses. Once the glasses arrived, Atlanta went straight into a week of clouds and rain. Luckily, the glare on cloudy days bothers my eyes more than sun so a rainy day on the trail became a perfect test. They’re also advertised to be anti-fog so the excessive humidity was another great testing opportunity. I started in the early morning so kept them on my head for the first half. They stayed in place on top of my hat and are very light. I actually wore them for a few minutes in the dawn light. The lense color and polarization were really nice in the low light. The colors on the trail were very crisp and the rocks and roots were highlighted nicely. I’ll probably invest in an extra pair of clear and low light lenses for early morning/nighttime runs. I’ve had scares with tree branches in the past so having the extra protection, even in the dark, is nice. Once I reached my turn around at the top of Lookout Mountain, the sun broke through the clouds and my reverse commute was into the light. They had fogged up while sitting on my head; the nose piece keeps the frames a little off the face, plus some vents, and these babies de-fogged as soon as I started down the mountain. Another plus, they felt comfortable with my hat. Usually I have to wear a hat OR glasses, but not both since it’s uncomfortable. The USA 1 is so light that they felt fine on my ears even with a hat. Good deal. Price: $100 – affordable compared to other sport glasses BUT can use code ‘XX2iRocks’ for additional 50% off! Can I have photochromatic lenses so I don’t even have to change the lenses? I’m lazy. Other cons are TBD but will update if needed. Anyone else try these out? What do you think? Chime in here or share on Twitter. 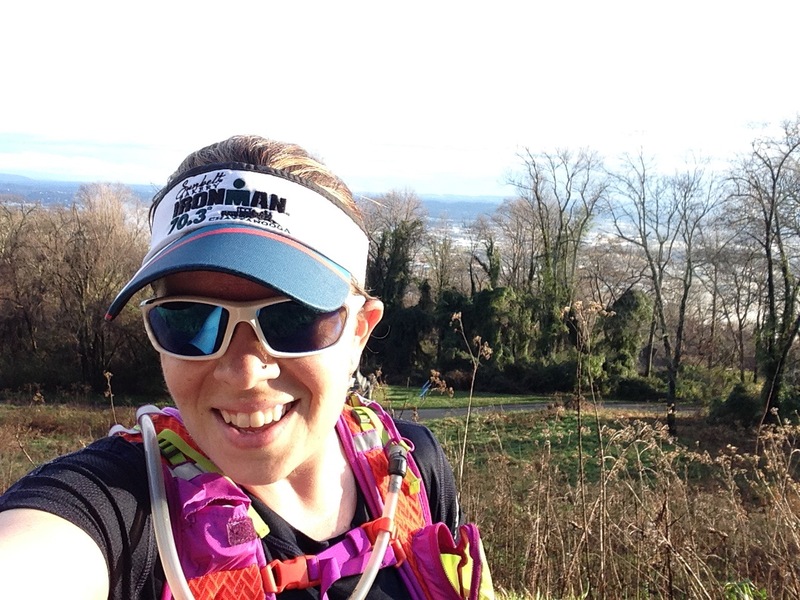 This entry was posted in Product Reviews and tagged bibchat, bibravepro, XX2i. Bookmark the permalink. 6 Responses to XX2i Optics Review and Discount!